Vietnam is a land of many faces and places. I say this because it was a huge surprise to me how big it was and how much it changed over our month of travel there. Now you can do this route, like us, from North to South or from South to North. The first thing that hit me in Hanoi was the incredible movement of this city – we stayed in the old quarter and just dealing with the ‘how to cross the street’ was a steep learning curve. The traffic and, especially, all the scooters is a bit daunting at first, but there is a method to the madness. I liked to time my crossing of the road with another Vietnamese pedestrian and follow their lead or to just go boldly forward albeit slowly and not stopping. I never felt unsafe in Vietnam during our trip and, of course, you take the usual precautions: do not leave phones anywhere or bags unattended. Keep your bag close to your body when walking around or strapped in front as I did, as it was a small back pack style bag. How I carried my small back pack purse. In Saigon, we found that Vinasun taxis were the best to use. Never had a problem with meters being turned on at a higher rate than was legal or being taken to any back streets or shady destinations and the drivers were all polite. Between Hue and Hoi An, I hired a private car and Cong, our driver was terrific and he charged US$69 for a leisurely drive to Hoi An. 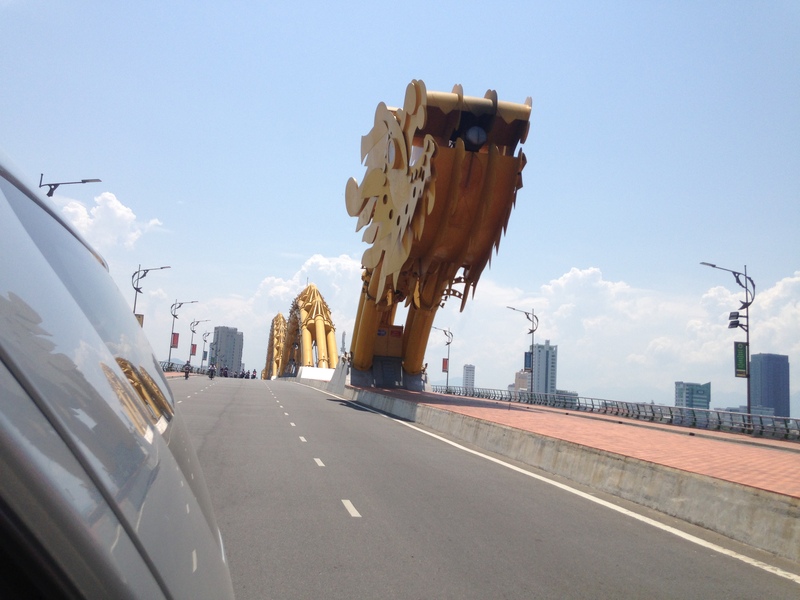 We stopped at several sites along the way, which included the new Dragon Bridge in Da Nang which breathes real fire and water. We used trains for our journey between Hanoi and Saigon. I booked all of them via the hotels we stayed. You pay a small commission but, we got a soft sleeper, air-conditioned and bottom bunk in a four bunk cabin. Some people book the entire cabin. We did not and ended up meeting some lovely Vietnamese people including two guides on their way to Hue. You can take some snacks and water with you on the train or there are food trolleys. I ate the food and didn’t get ill. My husband had a coffee and he liked it. There are Western and Asian toilets as well as a wash up area in each carriage with running water. All of the trains are slowly being refurbished. We got old ones but they were perfectly fine. To give you an idea of cost our two tickets for a night train from Hanoi to Hue was US$90. We did get one upper bunk for the train from Nha Trang to Saigon during the day which was comfortable and near the air-conditioning. Our entire train costs to Saigon were less than US$200 for both of us including two overnight trains. We hardly got troubled by pushy sellers or beggars at all. When people did approach us, a polite no thank you, keep walking on and a smile always worked. We, also, learned a few Vietnamese phrases such as ‘Hello’ and ‘thank you’ which, always, went over well even with our terrible pronunciation. This is a general rule of thumb throughout all of South East Asia, being loud and having arguments in public is not the done thing and considered very rude. Please do not confuse South East Asia with mannerisms that maybe more typical of other parts of Asia. The food is wonderful and we ate at street stalls through to restaurants. In the restaurants, they always put ice in your water and we never got ill once. Sometimes we would ask where the water came from and the answer was filtered. We, also, carried a small disinfectant bottle for our hands when there was nowhere to wash our hands. Beer is cheap in Vietnam and they have excellent fruit juices. Also, a tip, drink fresh coconut water from the coconuts themselves – this is the best way to rehydrate and replenish lots of fluids, even better than drinking water. Motto: a coconut a day will help keep the dehydration away! 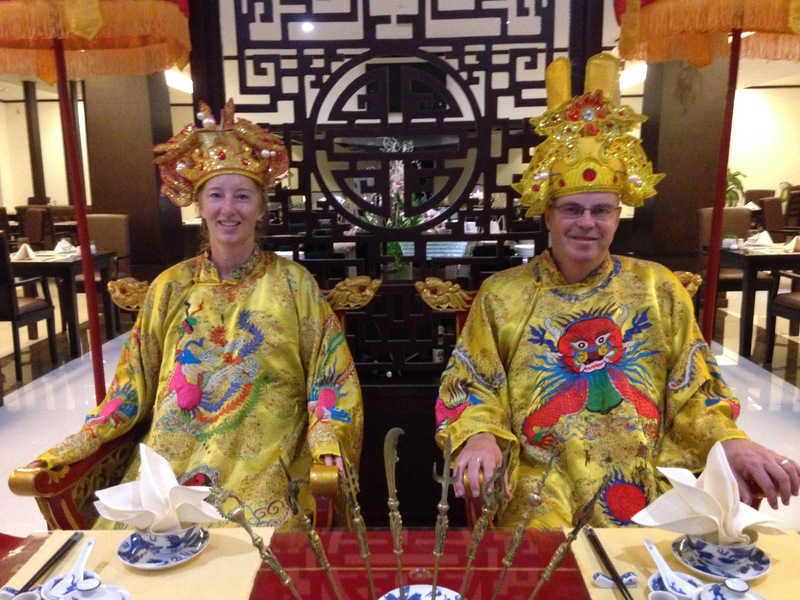 Depending on where we ate, the meals can range from a few US dollars up to $30. We ate at several restaurants recommended on trip advisor and it was a good way to find a place to eat if you did not want to get food from a stall off the street. Below are links to some of my favourite restaurants on our journey beginning in Hanoi and ending in Saigon. My favourite was Noir, in Saigon, where you eat in complete darkness and the waiters are blind or visually disabled. The food was great and the cause brilliant. 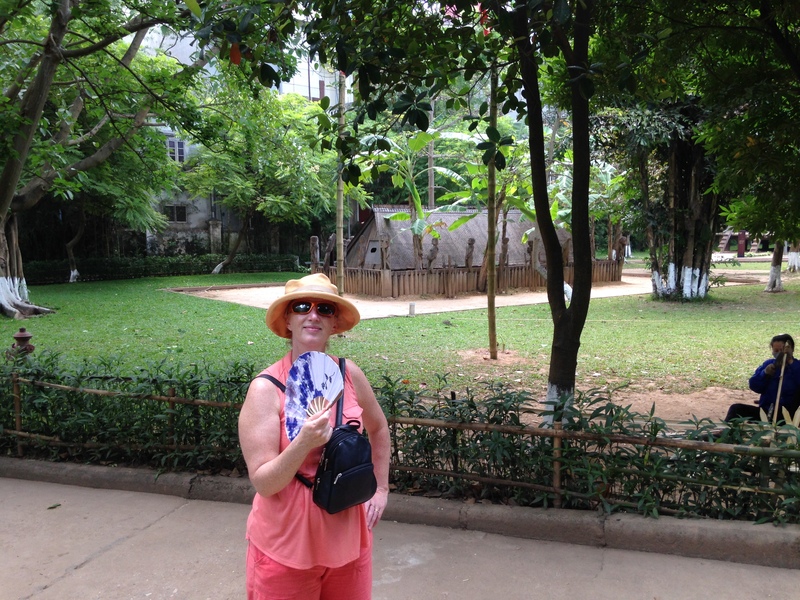 There were three tours that stood out during our trip to Vietnam. Halong Bay, Hanoi Kids and the XO Scooter tour through the streets of Saigon. In the height of the travel season book all these tours in advance, otherwise you may miss out! There are a multitude of companies selling cruises to Halong Bay. We went up market and did the 2 night and 3 day cruise with Viola Cruises booked through our hotel. I would recommend to do the 3 day trip and not the one night trip as it gives you more time to enjoy the scenery, swim and kayak. Plus, it makes the four-hour drive each way to Halong Bay and back worth the narrow seats and rather uncomfortable ride. Hanoi kids is a charity where young university students who are learning or improving their English take you on a guided tour around Hanoi. They tailor the day to what you want to do and see. It is great to have a resident guide, as they take you to some of their favourite places which may not be on any tourist tour and it is free, yes free! At the end of the day you can make a donation to the charity which we did and you pay for taxis, lunch and entrances for your guide. We really enjoyed our tour and would recommend it to first time visitors to Hanoi. My husband was a bit wary of this tour which I had booked, he quickly changed his mind. 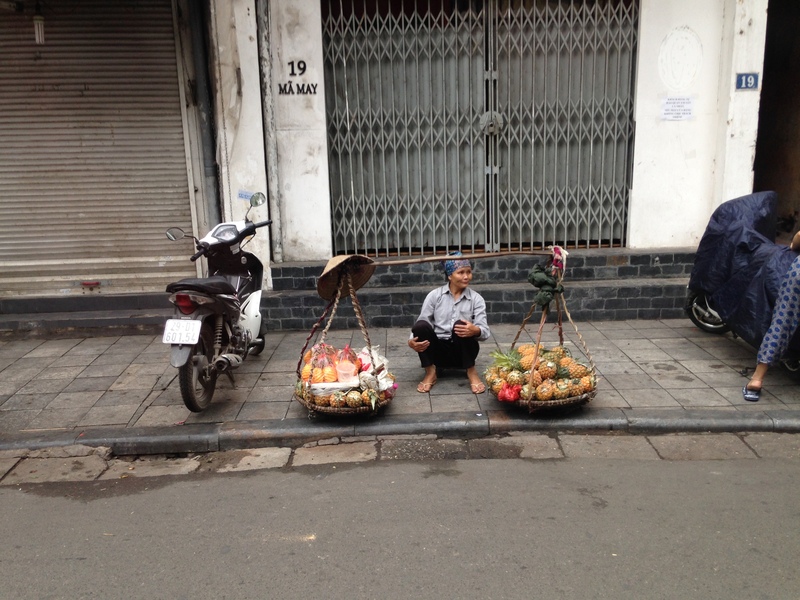 It was a great morning, whizzing around Saigon, seeing the sights and I never felt unsafe. It cost us each US$40 for over three hours and included a few snacks and drinks along the way. Good luck on your trip to Vietnam! Any questions, please submit through the comment form below and I will do my best to get back to you within 72 hours of posting!